We are used to receiving gifts from CCP during the holiday season, but this year we got something unexpected. Two days before Christmas, CCP Delegate Zero released a new chronicle that had been anticipated and hoped for: Inheritance. The Society of Conscious Thought (SoCT) plays a central role in this story which answers many of the most fundamental questions lore fans have been discussing throughout the last year. However, it also opens a Pandora’s Box full of new enigmas. In this article – co-written by Ashterothi and myself – we will take a look at the many revelations brought about by Inheritance, and discuss the new questions which arise from it. The Society of Conscious Thought is an in-game organization which doesn’t normally get a lot of attention. The group was founded by the Jove and has been used in the past as a liaison between the empires and the somewhat elusive “Fifth Empire”. Their main institution is a number of colleges called Kitzes. In those centres of learning, the Jove would share their culture to some degree and educate those most dedicated to higher knowledge, but also the very wealthy. For example, it was customary for many among Amarr nobility to send their children there for education. For the last century, however, the Jove have become withdrawn and stopped all direct communication. The last time we ever heard from the Jove was shortly after the first Sansha incursions of YC112 (2010). They sent a transmission informing us that that Sansha had been removed from their space. This came after a capsuleer had managed to steer a camera drone through a wormhole apparently created by the Sansha fleet. That infiltration revealed that a large Nation fleet was staging at a Jove Prosper Vault station. This chilling discovery lead many to speculations that the Jove had finally been decimated by the Jovian Disease, or had otherwise evacuated elsewhere. The SoCT itself had been left to the remaining human stewards who ran the Kitzes. However, during the “Battle of Mekhios” anniversary earlier this year, the SoCT surprisingly made the news. Piloting a Gnosis, Matshi Raish arrived at the Mekhios Graveyard, the site where Jamyl Sarum devastated the Elder Fleet in YC110. The Empress herself was of course also present to give a “rousing speech” for the occasion. The Gnosis seemed to use something resembling an entosis scan of the royal Avatar before being destroyed by Jamyl’s personal guard. Matshi’s parting words were to the effect of “We have learned what we needed to learn,” implying that his scan discovered something significant. The Empress was assassinated by a Drifter attack fleet one week later. Speculation arose about an involvement between the mysterious SoCT, and the even more mysterious Drifters. Even if that were not the case, what were they involved with? What did Matshi Raish learn from his strange entosis scan? What did they know about the collapse of Jovian jump-gates? Could they know the truth behind Caroline’s Star? There are two key characters in the story, one is the aforementioned Matshi Raish. He is an Elder Mentor of the SoCT, although not of Jovian origin. 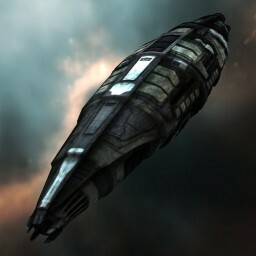 Ever since the Jove had all but vanished from New Eden, Raish has been the primary public representative for the Society. The second prominent personality is Veniel. The Jove have always kept their direct interactions with other residents of New Eden scarce, but Veniel was one of the few who played an active role at several points in modern history. He stood at the side of renegade Jovian Admiral Ouria during a conflict in YC105 which was fought between Minmatar radicals, the Angel Cartel and local capsuleers. Veniel himself was last seen in YC106 when he revealed the existence of “smuggler jump-gates” and space-stations built decades ago by the idealistic Immensea sect before it fell to the megalomania of its leader. Much of the story is told in the form of expository dialogue between those two characters or flashbacks from their memories and records. “The Inheritance” is no small piece, clocking in at over eight thousand words. It takes time to read, and even more to fully digest. The story takes place across two time arcs. The first picks up right after the destruction of Matshi’s ship following the scan of Jamyl, and continues as his old Jovian mentor discusses the results with him. It is during this arc that most of the explicit exposition comes from Veniel. The second storyline is presented in the form of historical records Veniel gave to Matshi. It starts 367 years ago with the discovery of a “stellar lattice” and wormhole gates built by an automated swarm of machines, but quickly skips through time to the Seyllin Incident and Caroline’s Star until it arrives at the present day. Both narratives revolve around a series of events throughout history that have left a continuous trail of mysteries behind, which are mostly put into context by Veniel. That makes the chronicle itself very dense in information, so we took the effort to present it in a structured fashion, explaining all the references and setting the stage for the next chapter in this unfolding story. 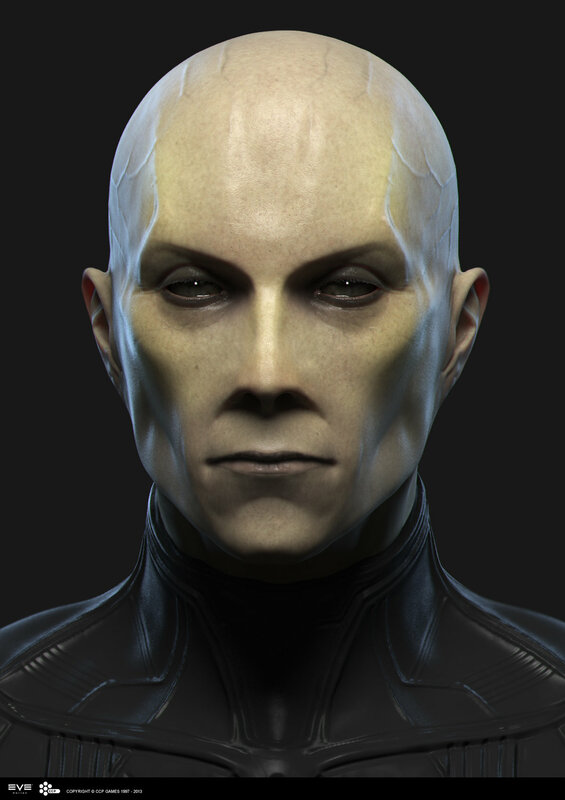 Jamyl Sarum may be one of the most well documented figures in all of New Eden. 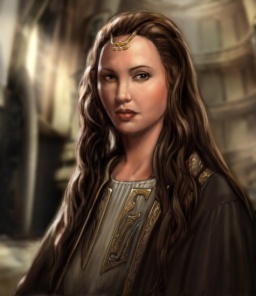 She was a central character in two books, a host of in game events, and the most powerful woman in the galaxy. During all of this, fans of the backstory could learn much about Jamyl Sarum. At the same time this created a problem: much of what we know about her (her cloning, her possession by The Other, etc.) is “behind the scenes” information very few individuals in New Eden would even suspect. For the roleplaying community the result is a vast separation between player knowledge and in-game knowledge. It is fair to say her violation of the Doctrine of Sacred Flesh is perhaps the worst kept secret of the cluster, and so it can be construed that a character knows or at least suspects it, but the presence of The Other is absolutely not understood by anyone in-universe. Even Jamyl herself did not fully comprehend what the presence in her mind was. Matshi Reish, however, had collected definitive proof, not only of the infomorph nature of Jamyl, but also evidence and knowledge of The Other inside her mind. Indeed this new knowledge brings him to the conclusion that Jamyl must die. 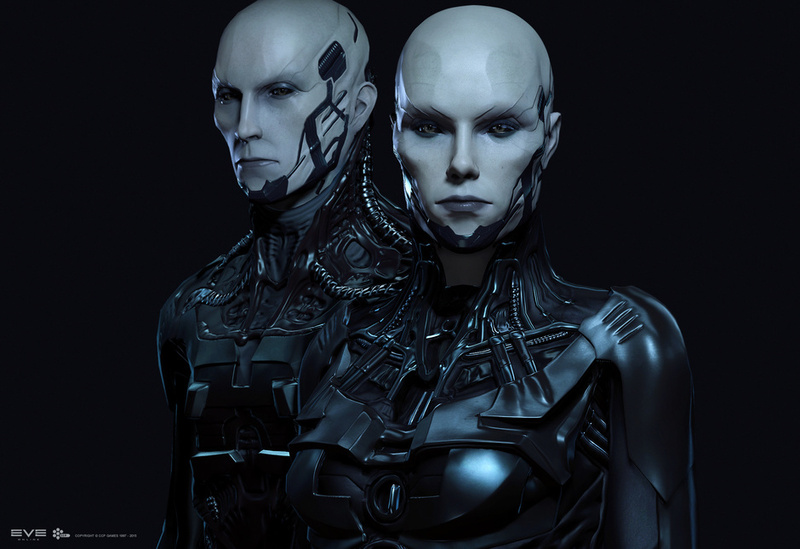 According to him, her possession by the non-human intelligence was an “existential threat” for as long as The Other can steer the actions of the Amarr Empire. At the end of the story Matshi reveals to the CONCORD directorate that the death of Jamyl was necessary for this reason. If he were to make that information more widely known, we could remove the largest wrench in the cogs of EVE’s in-character lore knowledge. The ancient history of the Jove has already been well documented on Crossing Zebras, but the modern era was still plagued with questions. Were all the Jove dead, wiped out by the Jovian Disease? Did they possess wormhole gate technology which Sansha Kuvakei stole from them? Did they know who the Sleepers were? In this chronicle we get the first concrete information in years that the Jove are still around in some form. Veniel explains that most of the Jove didn’t die… they left. Through the historical documents we also learn that 267 years ago, Admiral Ouria discovered an automated stellar engineering site in W477-P. The stellar lattice built there, apparently gathered energy from the star to create a network of wormhole gates which also became conduits for that energy flow. Veniel himself had been there to witness this discovery as young scientist. The Jove proceeded to study the site and found that its wormhole conduits lead to a remote cluster where they discovered Sleeper enclaves. When they explored those, they identified the Sleepers as exiles from the Second Jove Empire; the remnants of the Architects who once acted as the “think tank” of the old Empire before they seceded in an effort to find a cure for the Jovian Disease. The Jove explorers did not only find their ancient kin in Anoikis, but also realized that the virtual reality construct which the Architects had once built did still exist in the networked systems of the Sleeper enclaves. Further analysis indicated, however, that not one but many artificial intelligences had emerged from the vast computer systems. From then on, the Jove opted to contain rather than explore the mysteries of Anoikis further. They did, however, develop the ability to generate wormholes themselves, this is even demonstrated during the course of the story. Veniel also states that Sansha Kuvakei managed to steal part of that knowledge and used it for his incursion fleets. Over time, the Jove lost interest in the stellar lattice for reasons unknown, possibly because of the malaise spread by the Jovian Disease. Monitoring equipment they had left in place did eventually deliver troubling data: the star of W477-P was predicted to turn into a supernova. This problem was exacerbated when the detonation of several Isogen-5 caches around New Eden caused the Seyllin Incident in YC111. The feedback of this disaster traveled through the wormhole conduits and noticeably damaged the stellar lattice. This destabilisation accelerated the gravity collapse of the star. When the Jove realised this, they began to prepare for evacuation. Veniel does not reveal where they went to, but he mentions that only a few Jove were left behind to witness the events until the very end. In the time that remained, they tried to solve the mystery of who the builders of the automated swarm were and what the extent of their stellar engineering was. When the supernova explosion happened, its effect spread throughout the wormhole connections to Anoikis and destroyed the Jovian stargate network too. Of course that was the explosion we now know as Caroline’s Star. During their research, the Jove soon concluded that the lattice and wormhole gates had been designed for use by humans. Much had been lost to the Jove in the “Shrouded Days” between the First and Second Empire, and so the initial assumption was that the magnificent construction could be a relic from that time. Further analysis revealed that nothing in its nature indicated a culture that was known, though. The mystery remained until the Talocan ruins were discovered, and they were considered as the builders of the stellar lattice. Long before the rise of Amarr, before even the First Jove Empire, the Talocan roamed New Eden. Unlike most of the other settlers, their civilisation did not fall apart after the EVE Gate collapsed. The general assumption was that they evaded the worst because theirs was a space-borne nomadic civilisation. One of the few things we know about them today is that they were masters of space-time manipulation. That became obvious from Talocan ruins both in New Eden and Anoikis. At some point during their history, the Talocan deployed automated drone swarms to construct Dyson Sphere structures like the lattice found in W477-P. Veniel speculates on the grand design of the Talocan which made engineering on such an incredible scale necessary. According to him, the stellar lattices were used to transfer energy through an ever expanding network of wormholes which were also created by using the same construct. He presents a theory that the Talocan proceeded to “engineer” Anoikis as we know it today. He suggests that they tethered solar systems together using semi-stable ties created by synchronising gravitational resonances. This explains the cause for “static” wormhole connections. Instead of stargates, the Talocan simply created tunnels in space time. As mentioned, the star chosen in W47PP was unstable. It is not known whether the star was chosen because of this, but it would be strange if skillful stellar engineers like the Talocan would be oblivious to such a condition. In the chronicle, the Jove are unable to determine what would happen if the star’s supernova reached the boundary of the lattice, or if the lattice itself destabilized the star. There seems to be an implication that this might be the case. After all, when the Isogen-5 discharge damaged the lattice, the evolution of the star became accelerated. 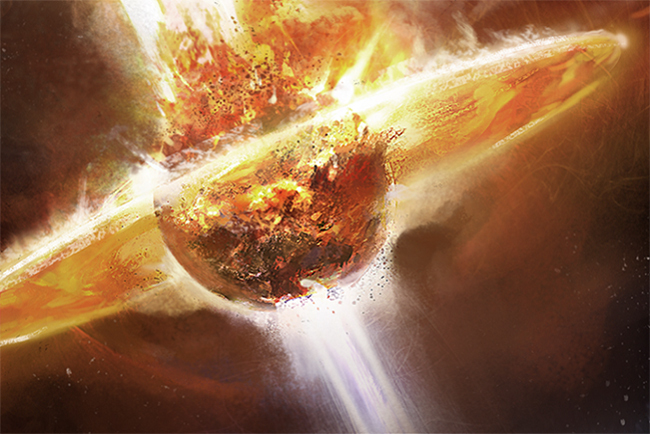 Veniel speculates that the Talocan might have realised too late that they had chosen the wrong star to build this particular lattice, and that they might have chosen to migrate even further away because they knew what would happen once it exploded. In his view, the Talocan had reached lofty heights with their civilisation, but such achievement also lead to great hubris. Maybe it was that arrogance which lead them to introduce a destructive flaw into their interstellar wormhole network. Veniel expresses his relief that they are long gone in any case. Matshi Raish already noticed that a hyperintelligent entity had meshed with the mind of Jamyl Sarum and Veniel confirmed that it was even more intellectually advanced than Matshi had thought. In his historical recollections of the Anoikis expeditions that Admiral Ouria, himself and others conducted, there is mention of the artificial intelligences that had emerged within the Sleeper’s construct. Something that many lore researchers had speculated about apparently was true: The Other was one of those intelligences and had insinuated itself into Jamyl’s mind. Both Matshi and Veniel saw this as very dangerous because this is an extremely intelligent entity which is unable to understand the finer points of human interactions. As Veniel comments: “the entity views the religious mode of thought through the prism of power and politics alone.” The two characters discuss how Jamyl has tried to “draw in” the presence in her mind. If she had fully merged with The Other instead of working against it, there would have been no telling what an intelligence at such a level could do when working in unison with the most powerful ruler in New Eden. It is also stated as a certainty by Veniel that the plundering of the gigantic Sleeper Hives for implants and other technology has been conducted by the Amarr under the explicit guidance of The Other. Furthermore, it is discussed how the emergence of the Drifters is a reaction of the remaining artificial intelligences that are still “alive” inside the Construct. Why one wayward AI would do things that antagonise others like it remains unclear, but it becomes obvious that the Drifters are created by the AIs, using replacement bodies the Sleepers had kept in stasis for the eventuality of their own bodies becoming degraded or destroyed. After all, they still adhered to the One Mind – One Body rule of the ancient times. As such, the Drifters are clearly a defense force that is intended to prevent further plundering of the Sleeper Hives. Veniel suggests that they may have responded now because their systems lie exposed after the supernova. As you can see, the chronicle solves many riddles of the past, but much still remains a mystery. Veniel offers a number of questions for Matshi to ponder, and the lore researchers among EVE players have pondered them as well and many more. Why did the Drifters plunder the old Jovian observatories? Why did they emerge now and not earlier? Where did the Talocan go and where is the refuge of the Jove who left New Eden? How are the Shattered Wormholes and Sleeper Hives connected to the rest of Anoikis? 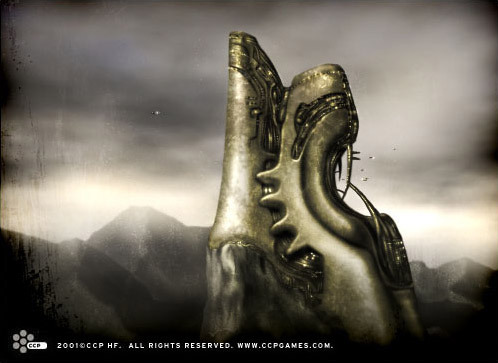 What was the relationship between Sleepers and Talocan; did they even encounter each other or were the Talocan long gone by the time the Architects arrived? How much do the Sisters of EVE know about all of this? What happened to The Other after Jamyl’s death? Why is The Other doing things that clearly gained it the enmity of the other emergent AIs? Through this chronicle, we have received a large amount of exposition, but it would of course be disappointing if all the mysteries were solved in one fell swoop. Delegate Zero gave us the ability to tick a few boxes on our list of pet theories and speculations, but we shall still have enough to chew on for the next year of Lore Panels and related blog posts. Of course, Rhavas has already started.